Thru the 2014 DuPont Volunteer Recognition program, DuPont honored nearly 320 employees. Established in 1998, the program recognizes employees or teams of employees who share their time and talents to improve the quality of life in their communities. On behalf of each honoree or honoree team, US$1000 is awarded to the organization where the community service is performed. Cesar "CJ" Regino, the HR Direct Center Leader of DuPont Manila, nominated Tapulanga Foundation to the 2014 DuPont Volunteer Recognition program. 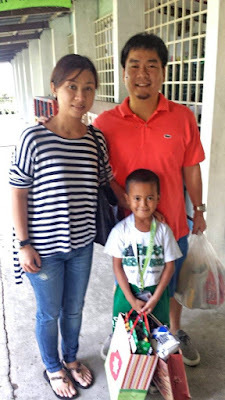 CJ, with wife Ruchel, visited St. Francis of Assisi School of Silay City last January 5, 2015 to meet their scholar, Bredyn John, for the first time. Bredyn is now in 1st grade. 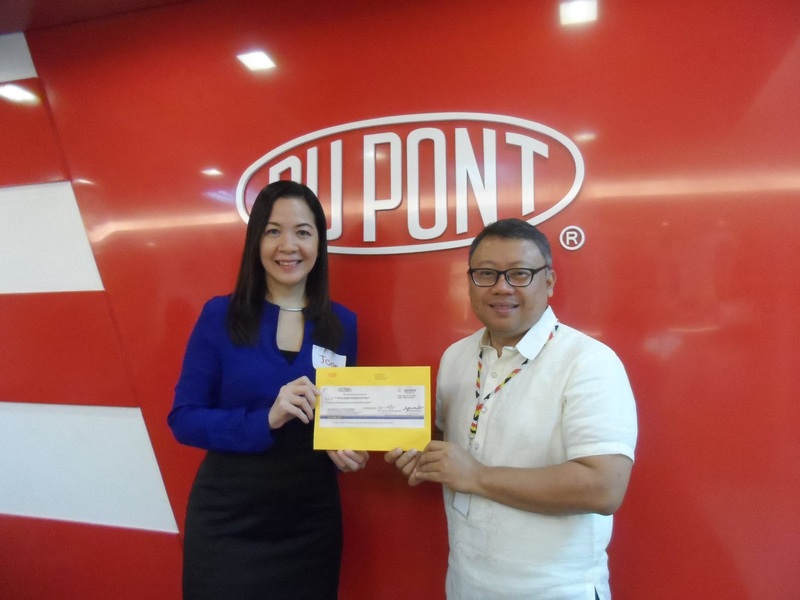 Last August 28, TF President, Dr. Jo-an Ledesma-Millonado attended the awarding cermony at DuPont Philippines Corporate Office in Pasig City, during the company's Core Value Day, and received the monetary donation. Tapulanga Foundation is grateful to receive such a blessing and is honored to be recognized by such a prestigious company like DuPont, who promotes volunteerism among employees.